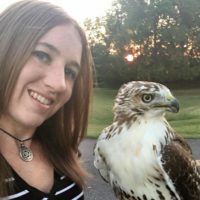 Welcome to the "Pennsylvania Falconry & Hawk Trust"
Message from the webmaster: Please be patient while I populate and wrap up the new websites content and structure. There will be various changes over the next few weeks. I will be working diligently with the club editor and other club members to get information that is deemed necessary to be posted on the website published. 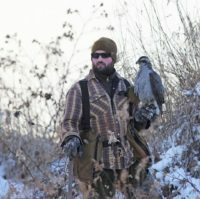 The goal is to have a publicly accessible website with useful information and resources to help out aspiring and seasoned falconers alike. This includes club information, falconry information, and useful resources like vendors. Do not hesitate to submit something you think should be posted on the website through one of the various contact forms or to your club board contact directly. "My lord shall never rest; I'll watch him tame, and talk him out of patience. - Shakespeare"
If you're looking to contact a regional director or other board member, this is the page that will help you make that contact! This will take you directly to our event calendar. Here you can find local PA meets as well as nearby state club meets! This page is where you learn about PFHT's mission, objectives and current direction. So you're interested in Falconry? This page will help you start gaining an understanding of the steps and processes to do that. Here you can access the current and past Wingbeat annual journal publications in a digital format! Here you can find copies of old and current creance newsletters. 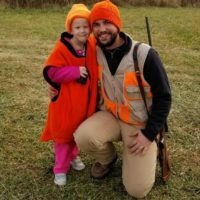 Why are you a falconer? Since I was kid, hunting in my dad’s fields during deer season, I was always fascinated watching the Harriers and Kestrels go cruising through looking for mice. Over the years, I had worked to get myself closer to nature by hunting, fishing, camping, hiking, and even wildlife photography. However, as soon as I learned about falconry, I was instantly hooked. To me, falconry is one of the closest ways we can get to nature. It is also the best ways possible to see what these animals are truly capable of, all while maintaining a strong hunting partnership. This sport bridges a huge gap between man and the wild while teaching you something that we have lost through the years, a respect for nature. I originally pursued falconry as an extension to my outdoors nature. I know it eventually consumed me, like it does for many others. I look forward to every flight, and every moment I get to spend with the birds in the field. If you asked someone why they pursued falconry you will get a different answer from everyone, but some common trends occur. 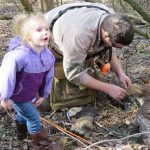 Some reasons include a direct connection to nature, to build a bond, a new way to hunt, "just because", etc. It's important to consider what exactly allures you to it, and make sure than the reasons match the results. Capturing footage of falconry is often considered taboo. 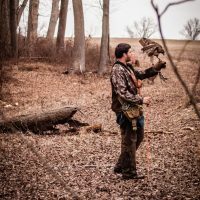 It shows a very primal path of the cycle of life that many people aren’t comfortable with.This website will be showing falconry footage that entails exactly what falconry is; a hunting tradition and sport. The video to your left is a short film edit of a squirrel hunt with a passage male red tail. This was this birds third squirrel of the season. The bird was trapped on Halloween weekend and started hunting just shy of 2 weeks later. In 1976 NAFA's "The Journal" in Volume 15 published an extensive article on the beginnings and history of falconry in Pennsylvania. 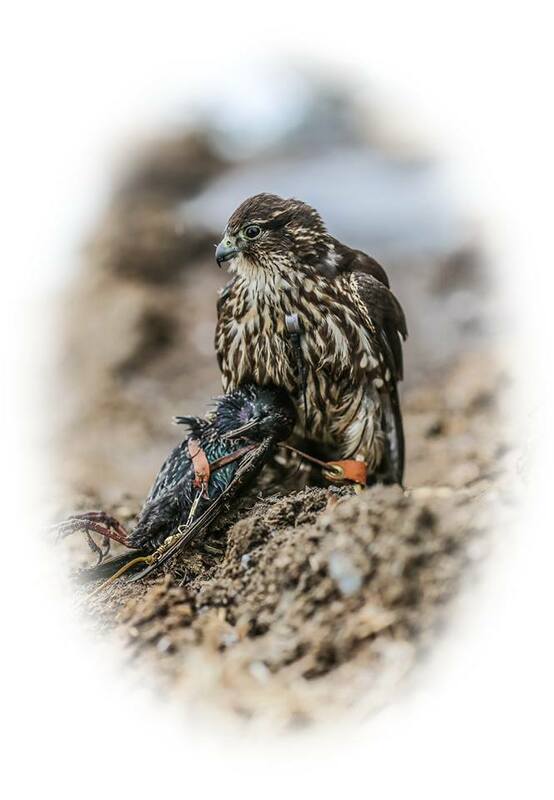 One of the best ways to show your appreciation for those that have worked diligently for us to stand where falconry is today from a regulatory and practical standpoint is to learn and remember how our current position was achieved. This understanding will promote that we, as the club's, state's, and country's falconers and falconry supporters can continue to support positive progress for falconry as a whole. 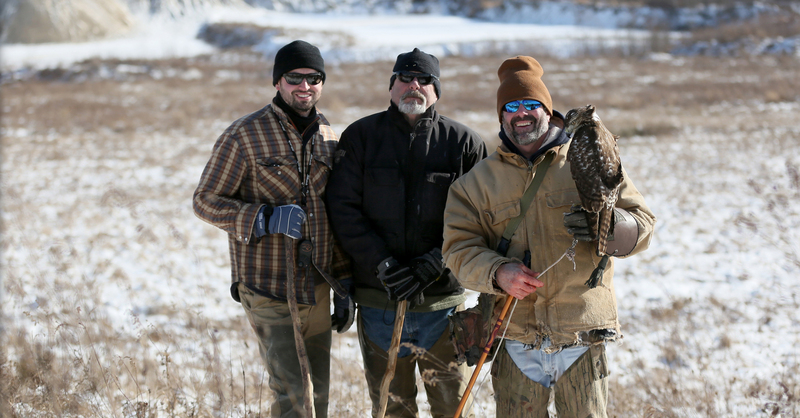 While hunting with eagles may not be everyone dream, for some, it is a true pinnacle of falconry. The sheer power and strength that come from these magnificent creatures is truly humbling. Our Western Director, Jeff Kisak, had a great idea on promoting attendees to share more photos taken at the meet with the club for publications and the website. We created a publicly accessibly upload folder through Dropbox. You can get there by going to the following link: www.dropbox.com/request/DTIMgQMayXn1LKgLIpDQ or by scanning the QR code. You can upload the photos right from your mobile device or if you are using a digital camera upload them to the link from your computer. Save that link to your phone so you can upload your favorite meet photos throughout the meet weekend! We will have the link and QR code on the banquet table flyer that will also list the raffle donators. If you have any questions about how to use it don't hesitate to let someone know so that we can get you the help thats needed.